After a few weeks off welcome back to Around The World! 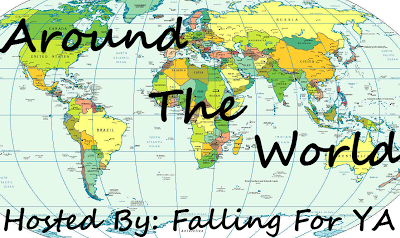 On (most) Friday's I feature a Blogger, Author or Publisher and ask questions about the country or state they are from and what it is like to be a member of the book world there! If you are interested in being featured please sign up here. 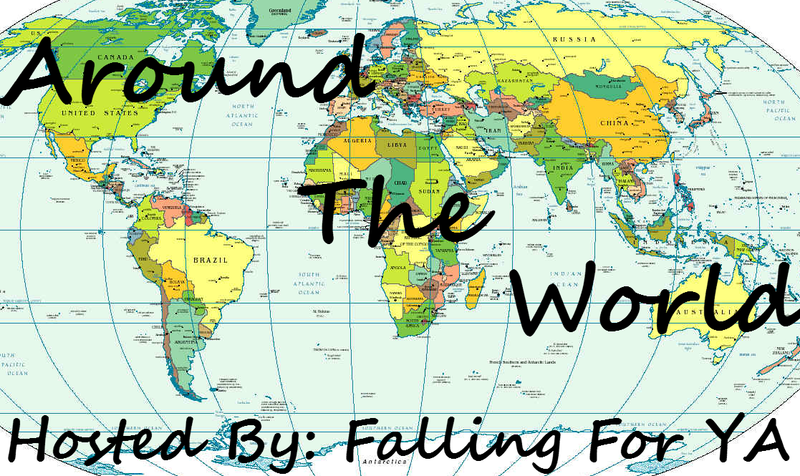 This week on Around The World I have Sarah from Vampire (and Other Paranormal Things) Queen! I’m from Lafayette, Louisiana, which is in the south of the United States. A small parish that has been declared one of the nation’s fastest growing cities, at least from what I’ve heard. The best thing about living in the U.S. or even Louisiana is how close communities are for special times and events. Also the food in Louisiana is great and when people say that there’s no better cooking on earth, they are true. I’ve been to a few other places and they just don’t season food like we do. The worst thing is probably the amount of road kill. There is way too much road kill on the roads and it is just the worst thing to look at. I never look at the ground when looking at the window. Funny story, I’ve been Louisiana all my life and looked out the window one day because it felt like such a long car drive and there was a cat with intestines coming out of its body and it is one of the worst things I’ve ever seen. I learned a valuable lesson about looking up and not down when riding in cars. There are not very many book lovers in my region. Yes, there are a few, but none that I’ve been able to find that I have as much of a love for blogging and reading as I do. This makes me incredibly sad because I don’t have anyone to fangirl with, but when I do find an occasional person that has read a book I loved, the fangirling commences. Nope and I hate that I have to drive all the way to New Orleans or Baton Rogue for a signing or an event. Lafayette is supposed to be a popular city, but I’ve yet to see an author come to the area that isn’t writing a book about history or genealogy. Also being in color guard prevents me from just going to events spontaneously when they do come to New Orleans. I honestly don’t know. I’ve never asked my librarians about it but I’m sure they would be. Louisiana is excluded from a lot of events in both books and music and I think it’s such a downer because we aren’t the people that make us out to be on TV. One of my favorite books that I’ve read that was set in Louisiana is My Life As a White Trash Zombie by Diana Rowland. It’s an adult book and first in a series. Ms. Rowland is also from Louisiana and she has a fun and accurate account of, well a “white trash” person. It’s a really fun book and I recommend it for zombie lovers! Favorite Book (overall): I can pick a series, right? Vampire Academy series, hands down! It’s one of my all time favorite series and Dimitri Belikov is just a girl’s dream come true. My favorite book in the series is Shadow Kiss, so I guess that would be my favorite overall book. If I can pick a favorite standalone book, I would go with… I can’t choose. Favorite Book Recent Release: 17 & Gone by Nova Ren Suma because I can’t think of any newer releases at the moment and this one is at the top of my head. I received an ARC from the publishers and it was one of the best ARCs I’ve ever received. Author: It’s a tie between three authors because I’m huge fans of their works and will read anything by these ladies: Richelle Mead, Sherrilyn Kenyon, and Ellen Hopkins. Richelle Mead’s VA and Bloodlines series are just genius and she sprouted my intense obsession with all things paranormal. Sherrilyn Kenyon because she owns the adult PNR (Paranormal Romance) genre with her Dark-Hunter series and I’ve also read her League series, which is sci-fi-ish. She’s a completely lovely writer and most of her Dark-Hunter series is set in New Orleans. Social Media: My favorite social media outlet is Goodreads. I’m obsessed with GR and I love interacting and chatting about books and making Internet friends. International Food: Pizza? That counts as an international dish, right? I’ve had Italian-inspired pizza and those dishes were pretty excellent! Haha yay for pizza! Nice to meet you, Sarah! Thanks so much for having me, Emily!